Teamlab Personal Releases Integration with Google Drive via Chrome Store App! Not so long ago we announced Teamlab Personal – free online office suite for individual use. 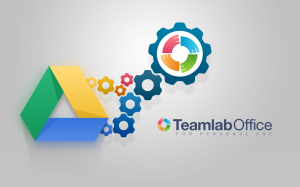 Today we are extremely excited to release our Chrome Store application that enables you to process Google Drive documents via Teamlab Personal. Another significant bridge is built between Teamlab Personal and Google Drive. Apart from connecting your Google Drive account with Teamlab Office, now the vice-versa connection is available! In other words, you can process documents via Teamlab editors directly from your Drive account. Install Teamlab Personal from Chrome Store. Enter your Google Drive account. Create a new document using Teamlab icon. Allow Teamlab to access the required files. Use Teamlab icon when creating or editing the existing documents. Please note: we do not ask to grant access to all your files, only those you decide to process via Teamlab Personal. Once the application is installed, you can process text documents, spreadsheets and presentations. Thus docx, xlsx and pptx files can be opened in Teamlab Personal by default, while other types of documents are converted to Office Open XML format prior to editing. Once you click the “Save” button, the file stays in your Google Drive account. How can I collaborate on documents using Teamlab? In the same manner as you are used to! Ask your collaborator to install Teamlab Personal App and share documents using the customary Google Drive “Share” button. Please, note: commenting and co-editing works properly only if both co-authors use Teamlab Personal. If you’re happy, clap your hands! UPD: Our colleagues from Google Apps Developer Blog gave us a wonderful opportunity to share our technical experience! You can find it here.